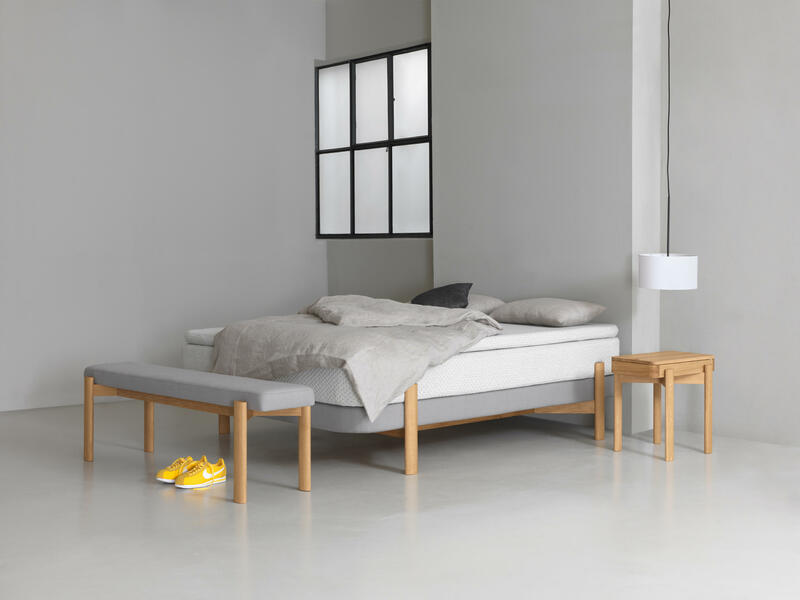 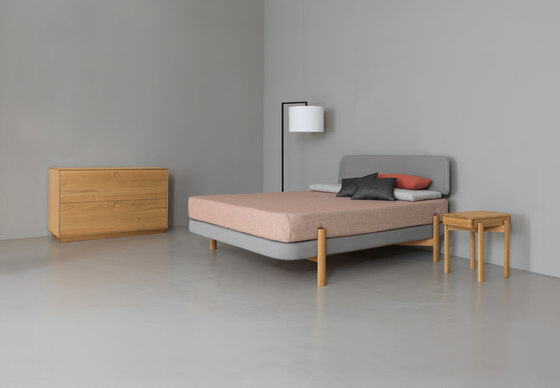 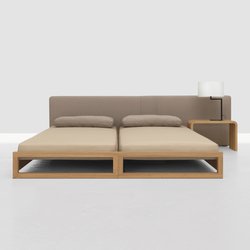 KOSI Boxspring – the unusually light boxspring bed. 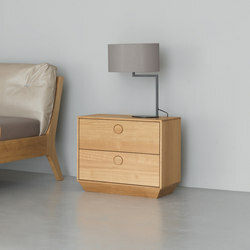 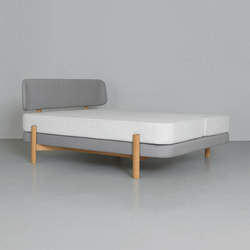 While offering the comfort of a box-spring bed, unlike conventional systems, KOSI has an exceptionally light expression. 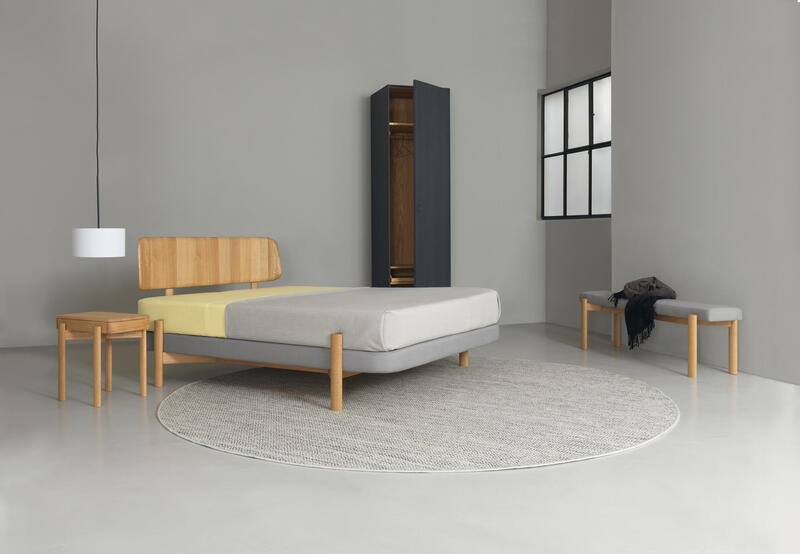 What’s innovative about KOSI is its construction: spring base and mattress are laterally braced by elliptical legs and supported by a cross-beam frame. 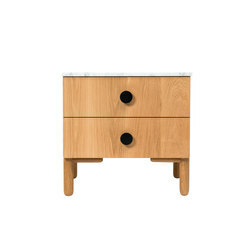 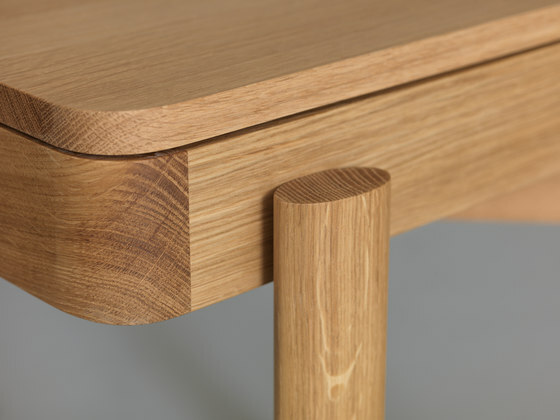 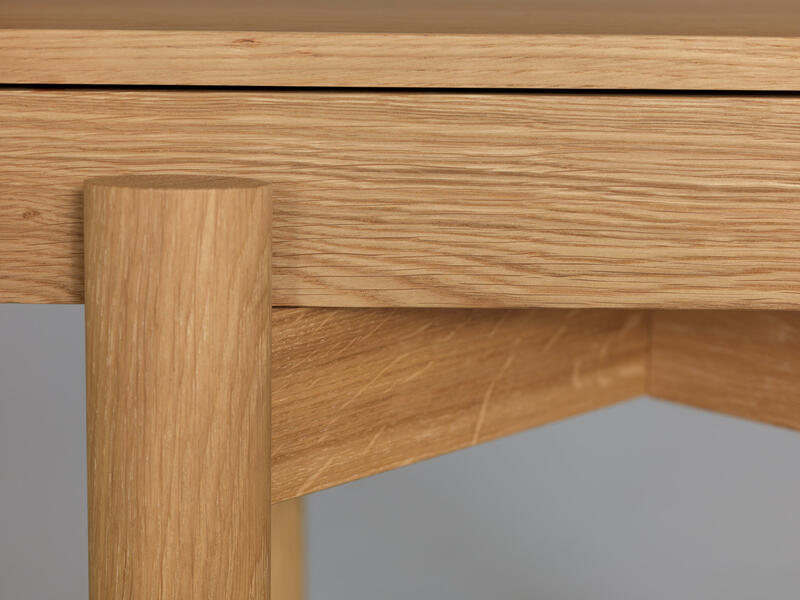 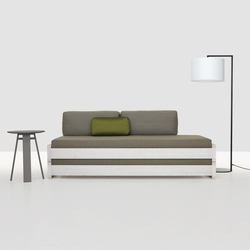 The corners feature generous radii, thus giving volume to the upholstery elements. 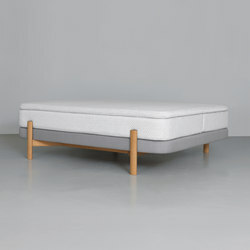 A mattress topper provides additional comfort. 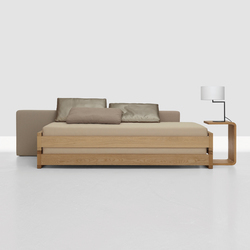 The bed can be complemented with a slender solid wood or upholstered headboard. 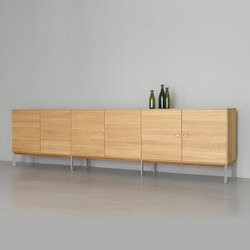 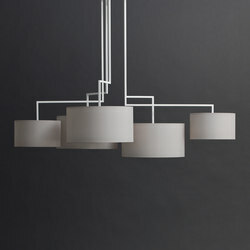 The lateral parts are curved, recalling an embrace and providing a feeling of shelter. 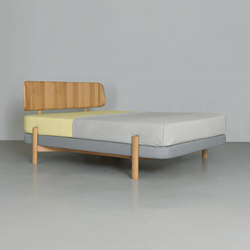 Craftsmanship in combination with modern CNC technology gives the headboard made of solid wood its own quality. 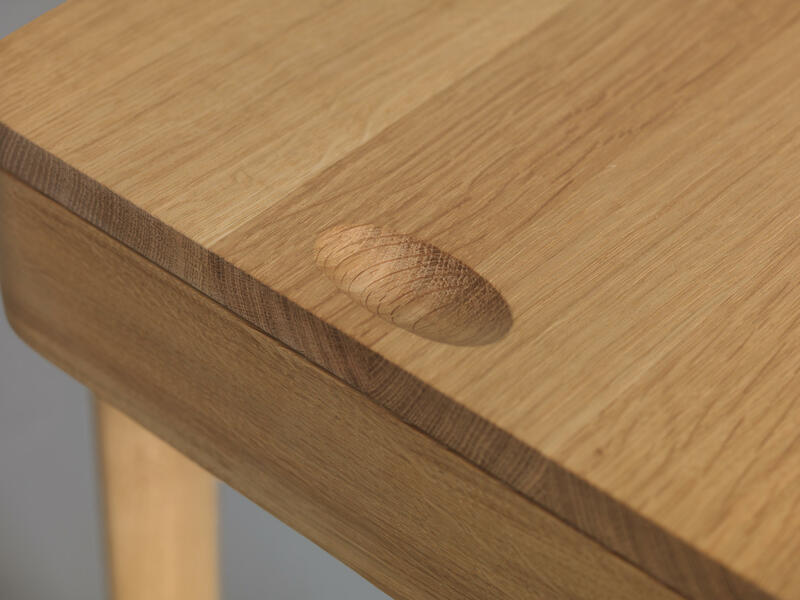 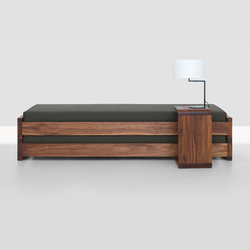 KOSI BANK – serves not only as a bench. 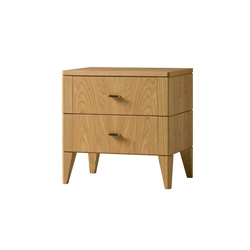 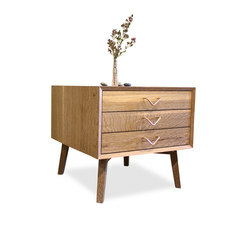 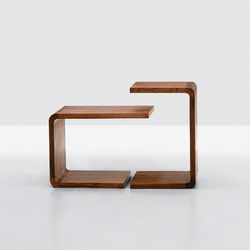 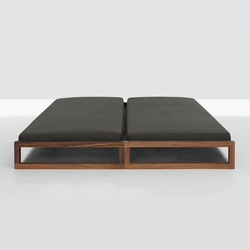 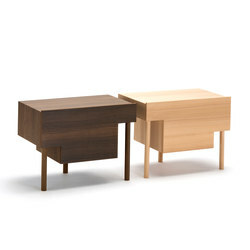 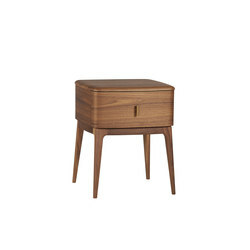 Matching the KOSI bed, the KOSI BANK bench also rests on elliptical legs. 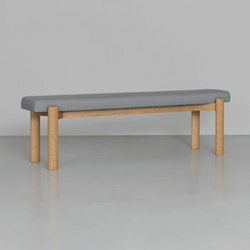 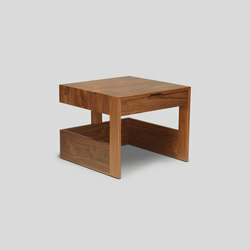 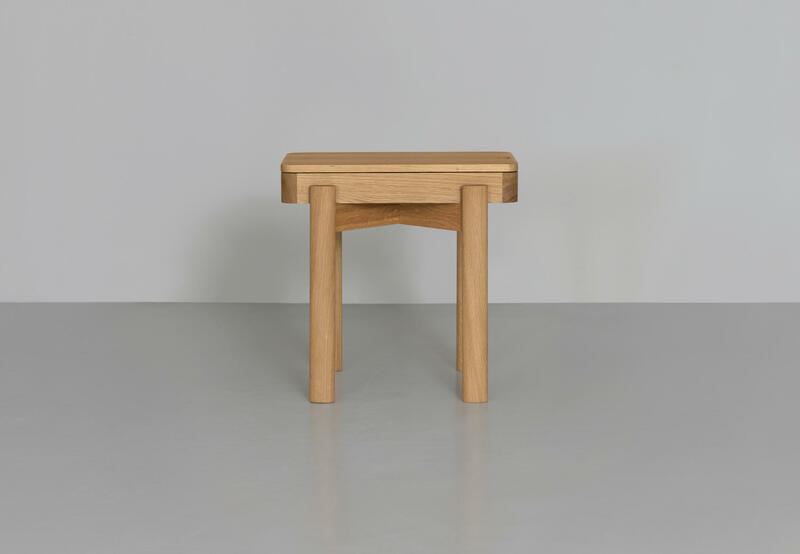 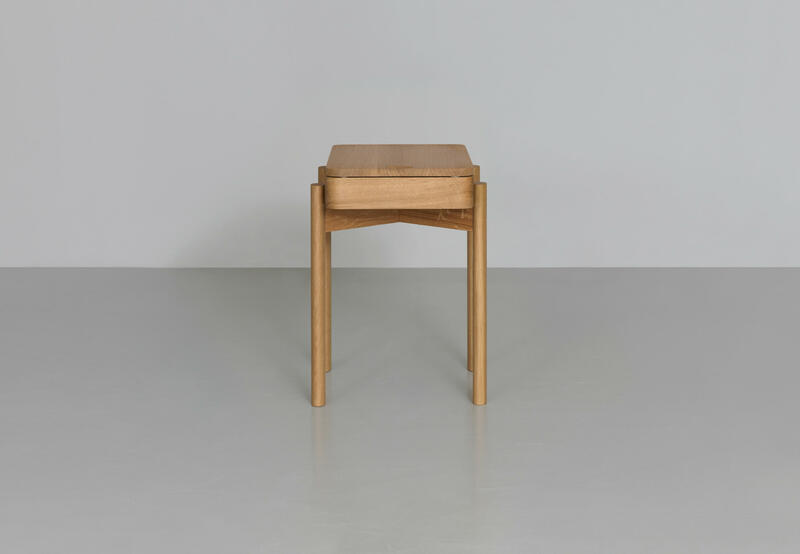 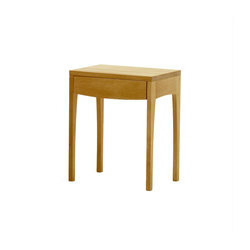 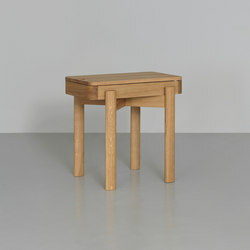 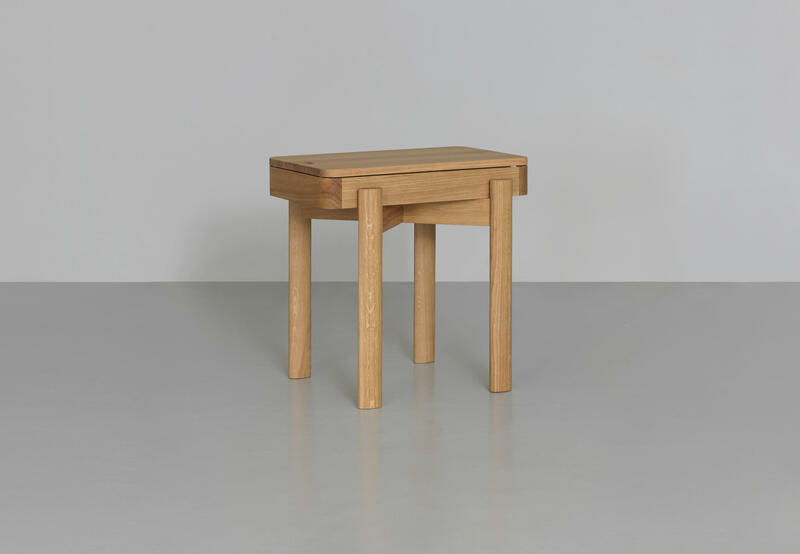 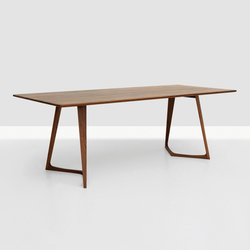 The cross-beam frame guarantees stability and supports an upholstered seat. 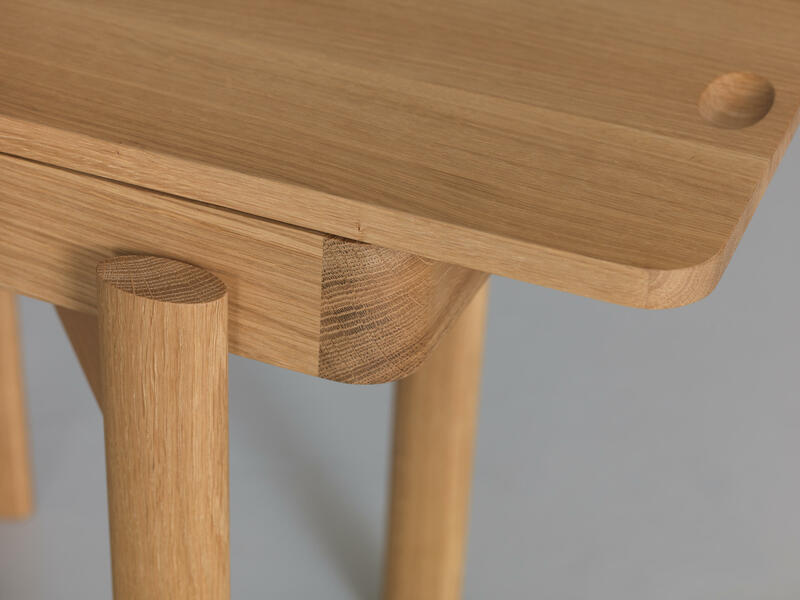 With its rounded edges, the upholstery is rather reminiscent of a cushion. 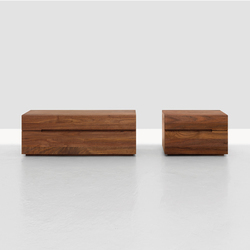 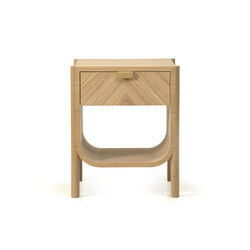 KOSI BANK is both a bench and a shelf for clothes.